The Hellbound Heart should be familiar to anyone who reads it, as it was turned into a film, quite a iconic film in fact. 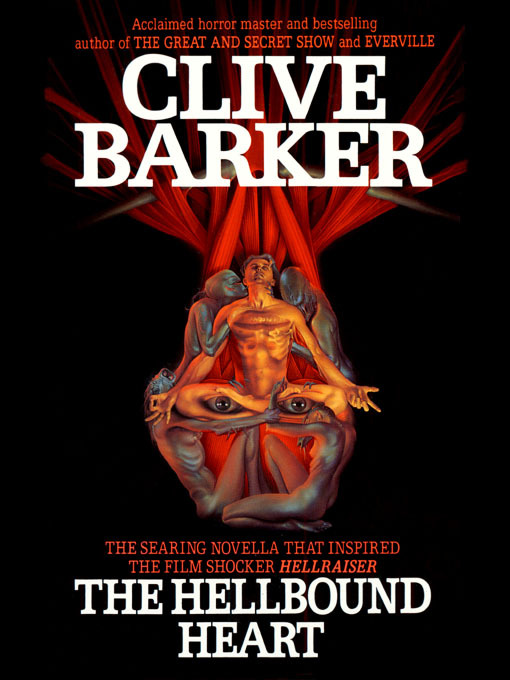 The Hellbound Heart is the book that Hellraiser was based on. 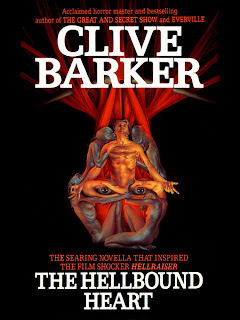 Written by Clive Barker (a very famous author whose other work I have not yet read) the book is a Novella, or short story. The plot is identical to the film based on it. A married couple move into the husbands brothers house. It turns out the brother (Frank) was stole away to a Hellish Demon dimension after opening up a magical puzzle box which promised eternal pleasure. It seems for Frank to return to the World he needs blood sacrifice to rebuild his shattered body. Blood sacrifice that Julia (Franks brother Rory's wife) is all too happy to provide due to her obsession with Frank. It all ends with a friend of Rory's (the miserable, love sick Kirsty) accidentally unlocking the puzzle box and summoning a host of Cenobites (Demons) to claim back the escaped Frank. Being a Novella, and not a full blown book means the tale is quite short, around 125 pages of largish text. The story is near identical to the film, though is some differences. I seem to recall that the Kirsty character in the film was Rory's daughter, rather than friend. The Cenobites are described well, though seem to be more repulsive, and gory here. In the book there is not a main Cenobite, and it is interesting to note that the character of Pinhead is actually female here, and that she has her tongue full of pins similar to the head. I never had much interest in Hellraiser (the first film in the series I mean), it seemed too grim, but here it makes slightly more sense. Frank opened the box expecting extreme pleasure, he had no idea of the pain and suffering the box would bring. The character of Julia hates her marriage, and regrets marrying someone she did not love, while the Cenobites themselves are not actually from Hell, but some unexplained place. I found the book easy to read, and enjoyable, some disgusting descriptions, and violence. Also, I only realised it after reading this book, but Frank is pretty much a zombie!